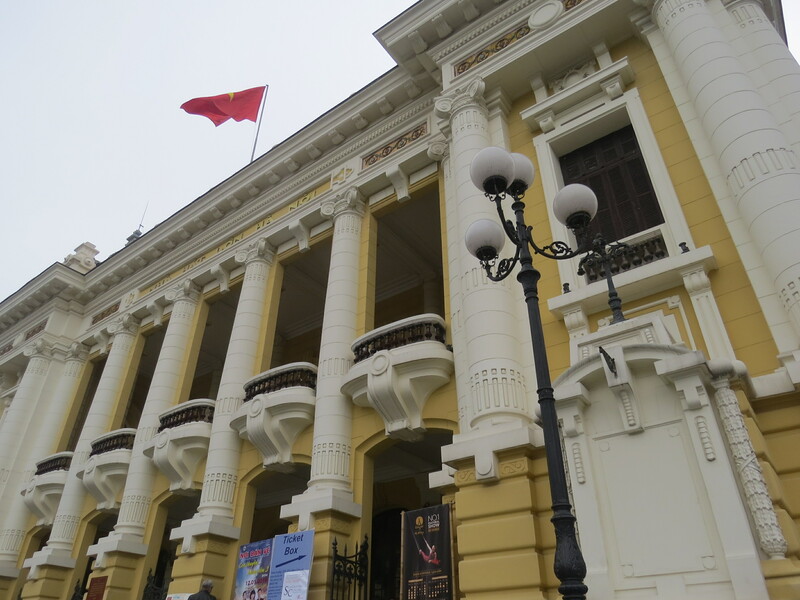 Last year I visited Vietnam for the first time, choosing Ho Chi Minh City (formerly Saigon) as my base. Once I had overcome my initial fear of the crazy traffic which seemed to have no rules…I fell in love with the place. 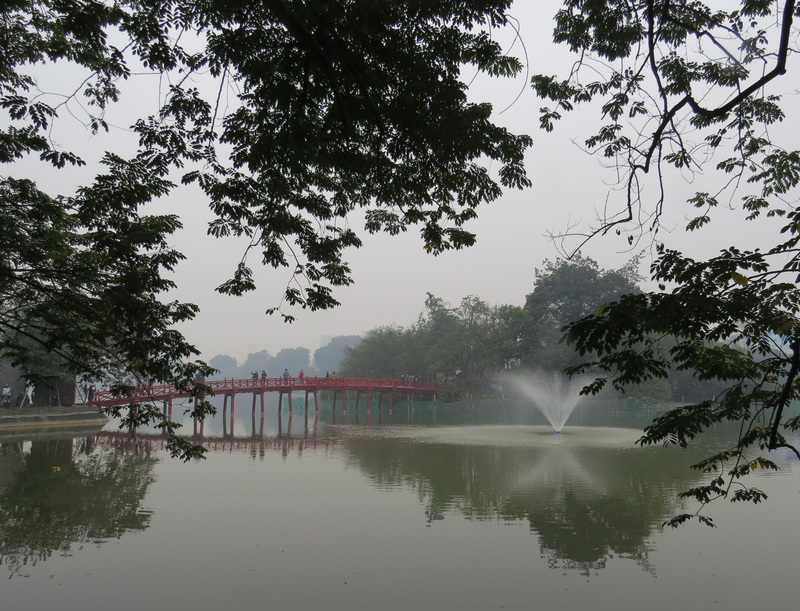 This time I selected Hanoi in the North of Vietnam as a starting point. Again I was enchanted by the scenery, the people, the mix of cultures and the delicious food. Close to where I was staying there were many impressive French Colonial Buildings as well as traditional temples and a large central lake that brings a sense of calm amidst the chaotic traffic of this vibrant capital city. 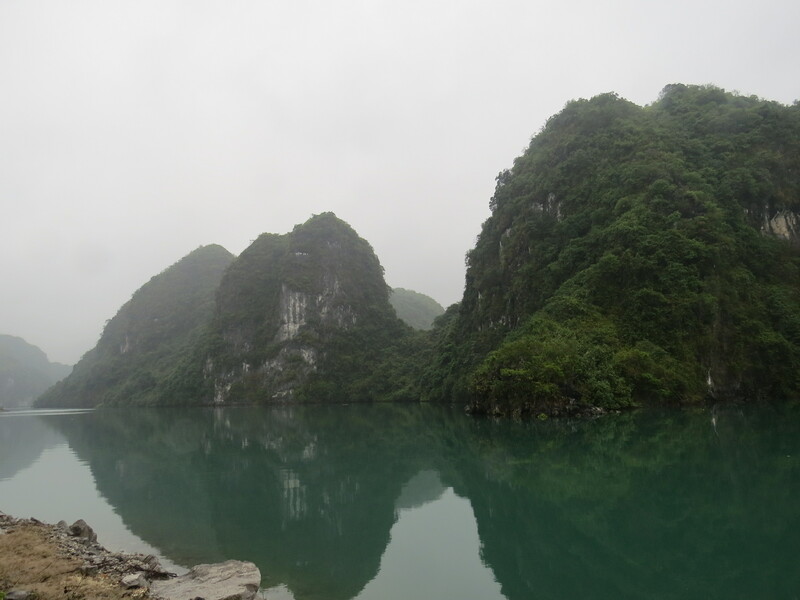 Max, the deputy manager of the B & B Hotel, showed me a number of options for visiting this iconic area of Vietnam…I selected the Emerald two-day cruise and was not disappointed. 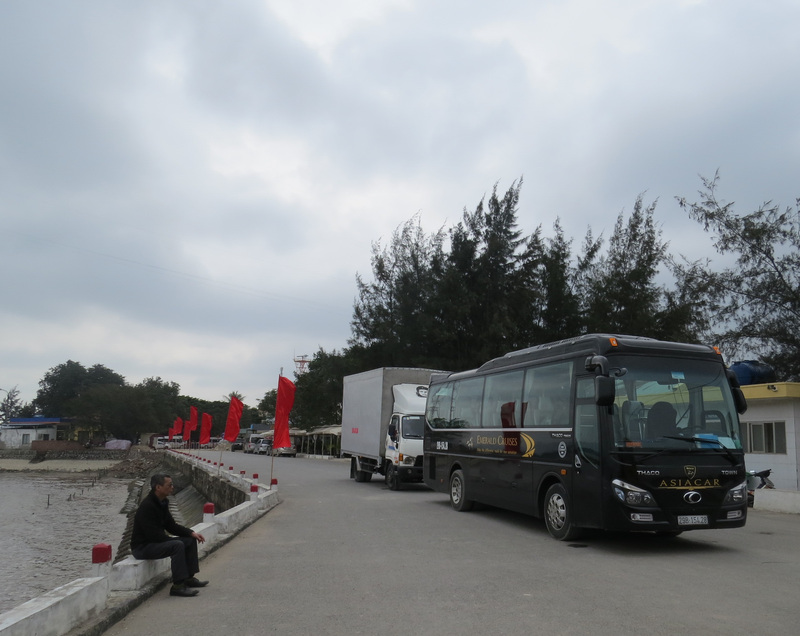 It took a pleasant few hours by coach to arrive at the ferry that would us to the departure point. It seemed impossible to cram so many lorries, coaches and cars onto the decks of the ferry. Once the coaches were on, we followed on foot to find whatever seating space we could for the short voyage. 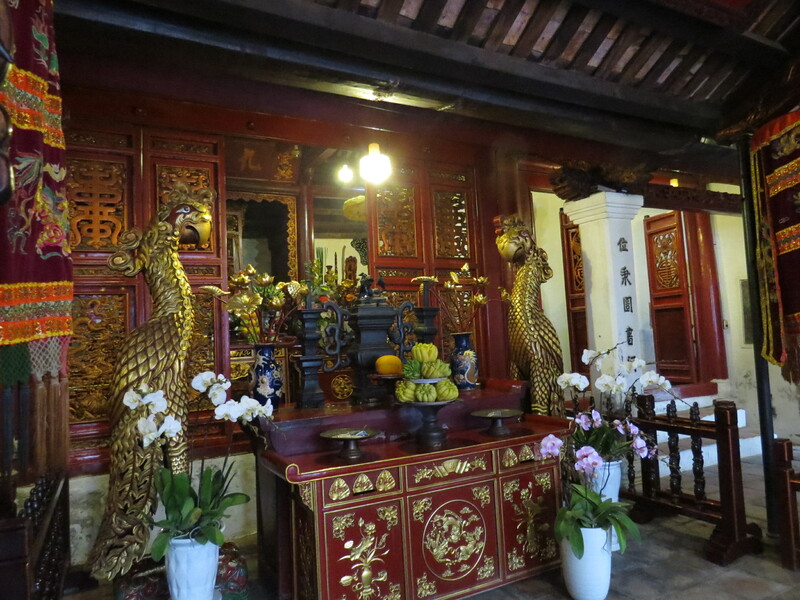 Once on board, I was allocated a two bed cabin on the main deck next to the dining room. The main meals were splendid…we had cooked oysters in a light creamy sauce au gratin. That was just starters! Both lunch and dinner brought fresh delights…in contrast, breakfasts were quite boring. For most meals, I shared a table with a young French family with a small toddler, who provided a source of constant amusement. We anchored overnight in a secluded harbour. Magical peace and stillness! 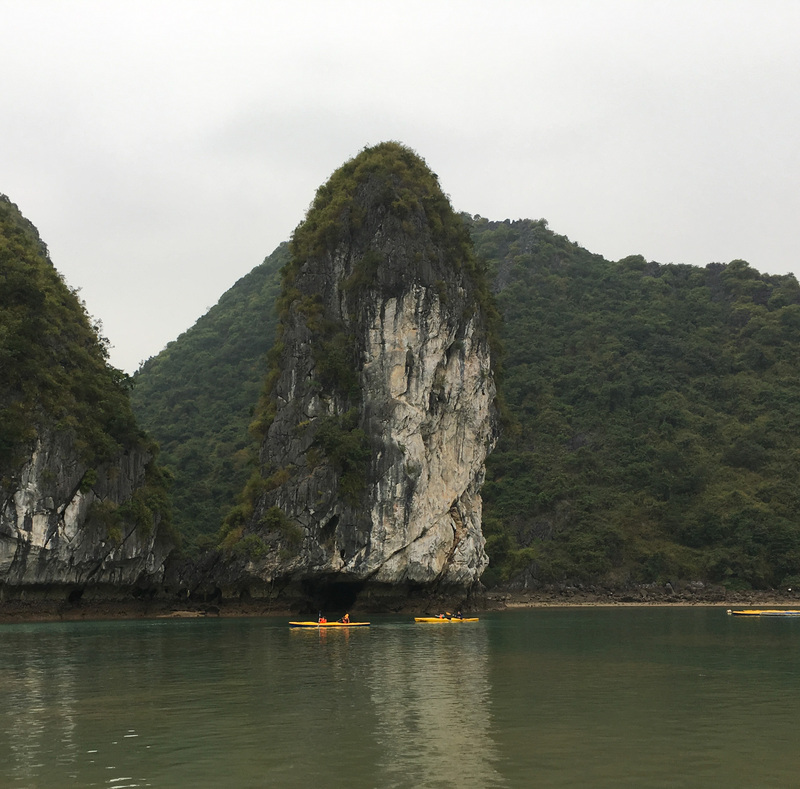 A few of the younger passengers went kayaking whilst the majority of folk took up the option of riding bicycles to a local traditional village – I opted for a walk instead. Altogether, I reckon this was one of the most enjoyable experiences of the trip. 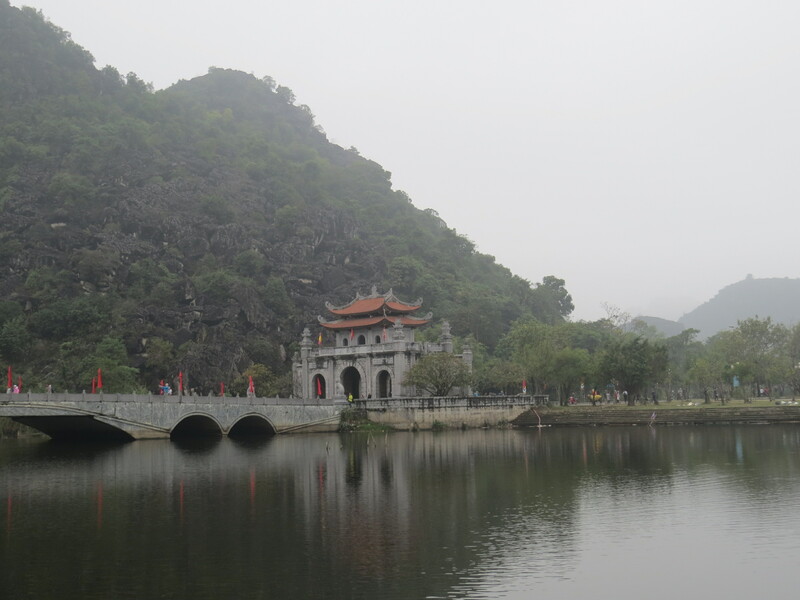 An early start was needed for the one day trip to the 17th Century Temple of King Dinh Tien Hoang and rowboats into limestone caves at Tam Coq. Our tour guide spoke English, but not well enough to answer questions about basic historical facts. Fortunately, I was with an assorted bunch of very friendly people from different countries who willingly pooled information from guidebooks and personal experience. 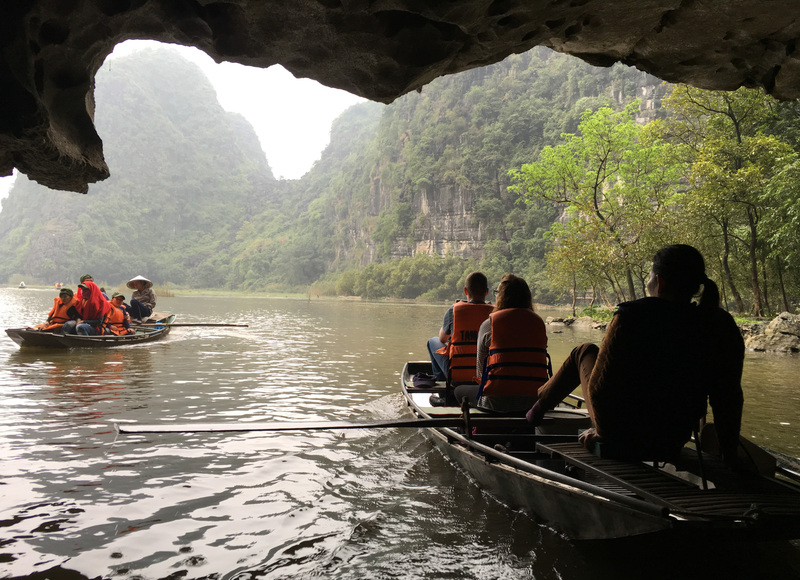 Whilst it was truly amazing to sit back and be rowed through the caves by local people; for the feet-rowing locals…it seemed to be more of a money grabbing opportunity, which rather spoiled the occasion. 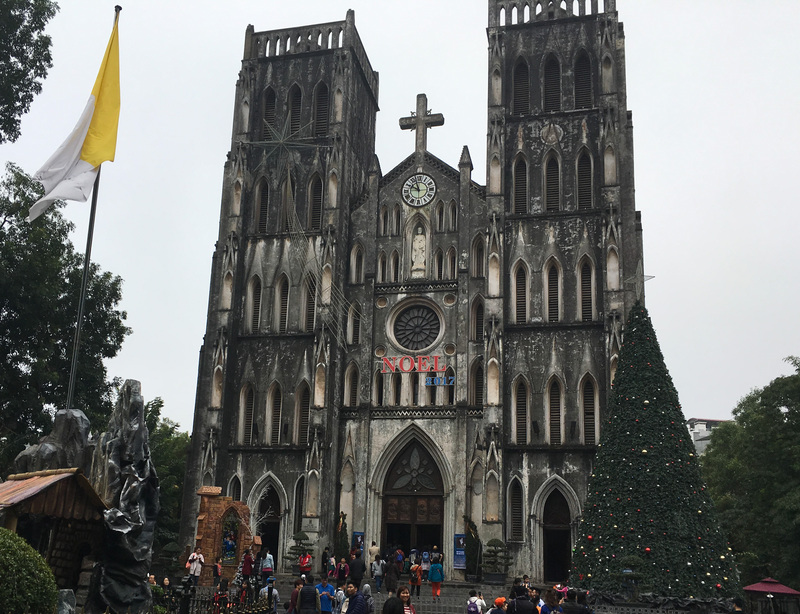 Hanoi Cathedral stopped holding an English Sunday mass many years back. The 11.00am mass in French was accompanied by an amplified acoustic guitar and choir. It was not particularly well attended, in contrast to the packed English Eucharist at St John’s Cathedral Hong Kong where it was standing room only.